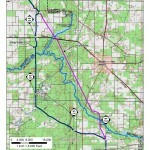 One Florida county is taking the Sabal Trail pipeline proposal seriously, maybe because there are no fewer than three paths for the pipeline into Gilchrist County, Florida, all three crossing the Santa Fe River, and one first crossing the Ichetucknee River. 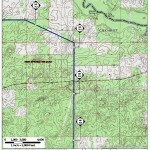 Gilchrist County Administrator Bobby Crosby said the Gilchrist County Commission is planning for a February public meeting with Sabal Trail officials to answer questions about the pipeline. 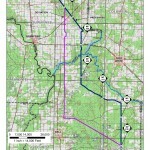 Crosby said there are two proposed routes through Gilchrist County and rumors of a third route. He said he has been unable to get answers from Sabal Trail officials, but they are willing to answer questions from the public at the meeting. Sabal Trail’s preferred route has nine detail maps for Gilchrist County: crossing the Santa Fe River to enter the county, Duck Pond, Bell Quad, Cow Creek, Ginnie Spring, Neals, Waters Lake Quad, Union Church, and Newbury SW Quad, where it crosses into Alachua County.